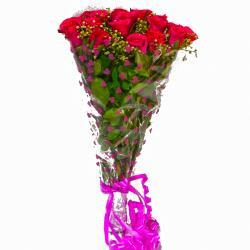 Product Consist : Bouquet of 15 Red Carnations with lots of green fillers. 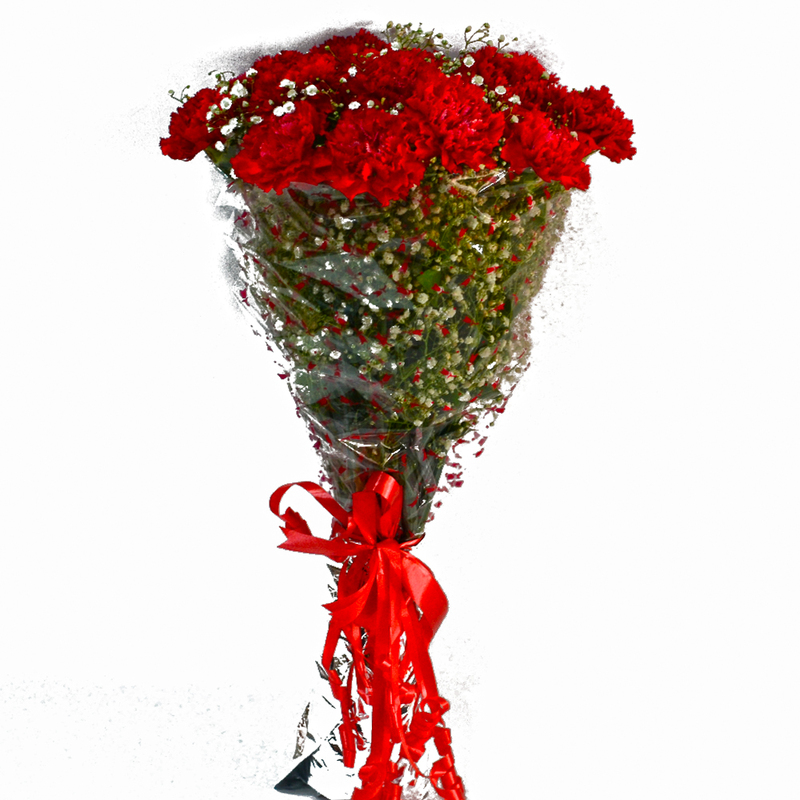 This bouquet of red carnations should definitely make it to your list of necessary gifts for special occasions. 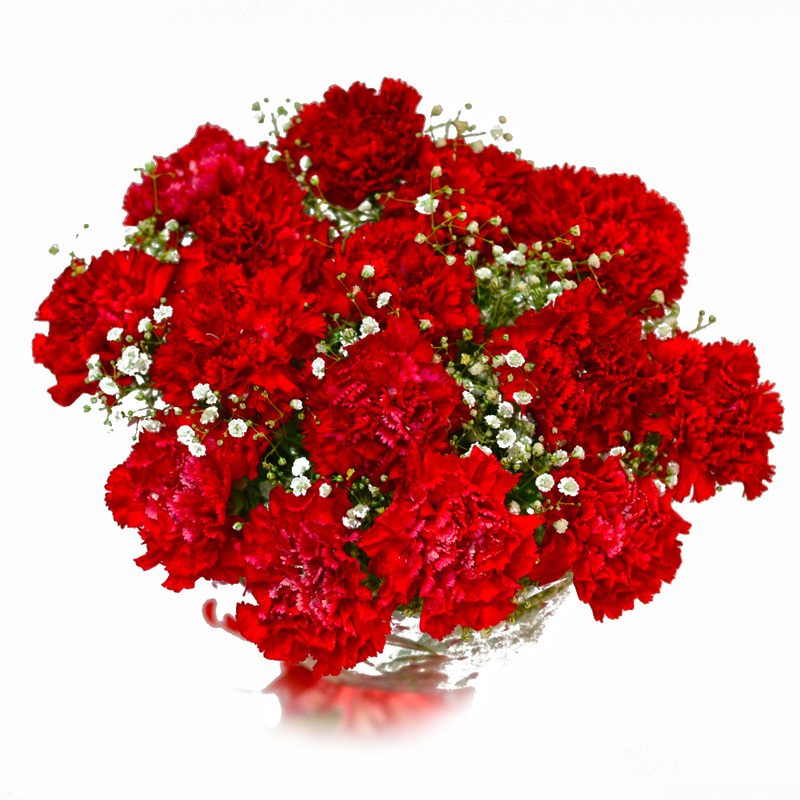 This bunch contains fifteen stem of carnations which look really cute and tempting in their shade of red. 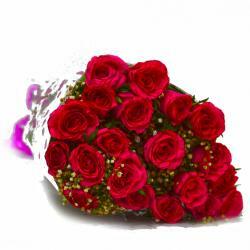 These fifteen red carnations are also neatly packed in cellophane paper. There is a matching ribbon bow tied onto the entire ensemble for added effect as well. 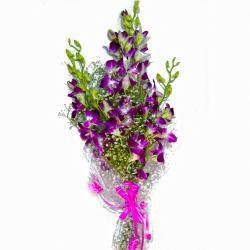 You can use this gift pack for several special occasions including Birthday, Anniversary, Sorry, Onam, Parents Day, Bhai Dooj, Diwali, anniversaries, birthdays and more. 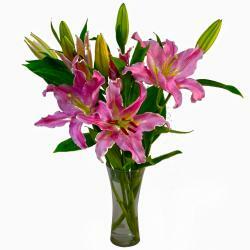 Product Contains : Bouquet of 15 Red Carnations with lots of green fillers.